Carluke Rovers chairman Ian McKnight is confident the club can replace departed top scorer Ian Watt who joined Lanark United this summer. McKnight told the Carluke Gazette: “We made Ian a club record offer to stay with us. “He was a great servant who gave five or six seasons to Carluke. “It is difficult to replace a striker of that calibre. “But I only have good things to say about Chucky and wish him all the best at Lanark. “Over the course of two or three of our pre-season friendlies I think we have a person who will replace Ian and be our main striker. “I think he will make his mind up about whether or not he’s signing for us in the next two weeks. “He is an ex-senior professional player who would bring a lot to the club in terms of knowledge and influence. “A lot of our players would look up to him and take his guidance and directions. 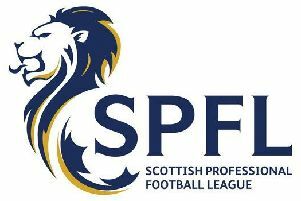 The draw for the first round of the Sectional League Cup has been made – see page 38 to find out who Carluke, Lanark, Forth and Lesmahagow have got.